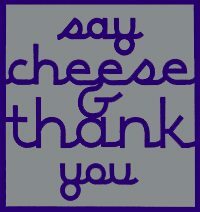 Say Cheese & Thank You was founded in 2004 by Darci DeMatteo, a successful photography in New York whose business included family and children’s portraits. When clients asked for holiday cards to compliment her photo work, Darci found it hard to find one place with a variety of choices to fit her customer’s needs. Thus began her entry in the stationery business. When demand made working from her home-based business no longer possible, Darci expanded into the loving arms of the Rivertowns favorite local store, creating a space for stationery, invitations, and assorted gift items. Before a year had passed, Darci was bursting at the seams and decided to go out on her own and opened her Say Cheese and Thank You storefront in Irvington where she ran her business for 6 years. She closed that venue and moved into a Dobbs Ferry location for another 5 years. After 12 years of owning and operating a brick and mortar store, Darci is getting back to her roots and doing what she loves most, creating fabulous, custom invitations for every occasion.